Fast measurement with one hand: The Dräger-Tube pump accuro allows you to use the established Dräger-Tubes to take measurements under extreme conditions. The easy-to-use Dräger-Tubes have already been calibrated and form a perfect unit with the Dräger-Tube pump. - The Cal 2000 provides unmatched versatility and accuracy in calibration gases. Field replaceable calibration gas sources (generating cells) provide a calibration standard for accurately testing Chlorine, Chlorine Dioxide, Hydrogen, Hydrogen Cyanide, and Hydrogen Sulphide gas detectors with a single instrument. 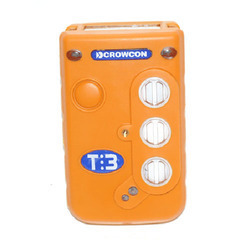 Being an eminent organization in the industry, we are involved in providing a premium quality range of Gas Detector. 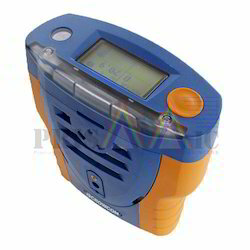 We offer portable gas detector with inbuilt sensor for continuous monitoring of toxic, combustible, flammable gases. SPC-H series comes with inbuilt sensor to monitor gas etc. A fixed catalytic bead combustible gas detector/transmitter that operates from a 9 to 36 VDC power source. Tori Tech Resource Pvt. Ltd. Specify if control unit is required or not.